She sings “Nakimushi Princess”(/Crybaby princess) that is the theme song of “Anime mashite”, a TV show of featuring anime information. (http://www.tv-tokyo.co.jp/anime/animemashite/index2.html) So, noe she is a popular singer and idol of subculture. This time she prayed at one of the most popular shinto shrine with a lot of fans of hers for good luck fo the new year. 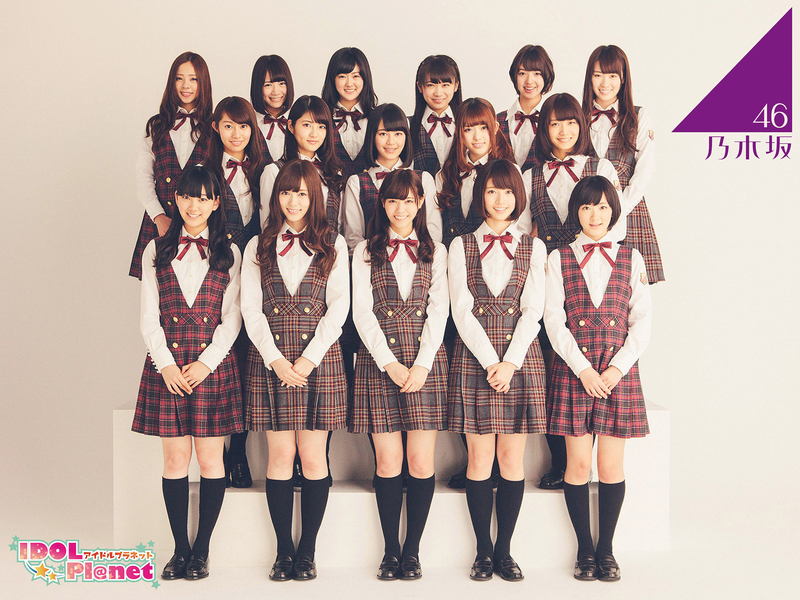 Nogizaka46, a popular young female idol group and “the official rival of AKB48” hosted its very first solo concert tour of nine concerts 16-30 at five venues. 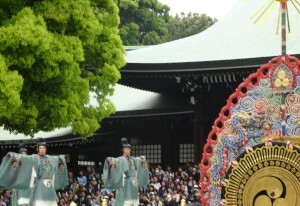 The final one was held at Meiji Jingu Stadium in Tokyo(http://www.jingu-stadium.com/), which more than 30,000 people visited. A music concert was held at the stadium for the first time in 14 years. 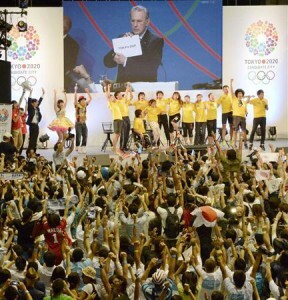 Tokyo was elected defeating other two candidates of Madrid and Istanbul.At the first vote, Tokyo got 42 votes while the other two both got 26 each, which caused the second and third place decision vote. At that decision vote, Istanbul defeated Madrid by 49 to 45 and in such, the final vote was done to choose Tokyo or Istanbul. And Tokyo won by 60 to 36 in the final. A lot of people watching the live broadcast of the course of the meeting on TV gave exultant cries in many places all over Japan or even overseas, when the IOC president Jacques Rogge declared Tokyo was elected saying, “Tokyo !” producing the document with the name of the successful bidder “TOKYO 2020”. 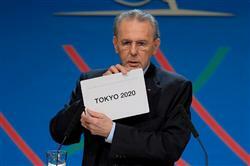 Tokyo will have hosted Olympic and Paralympic games for the first time in 56 years in coming 2020. 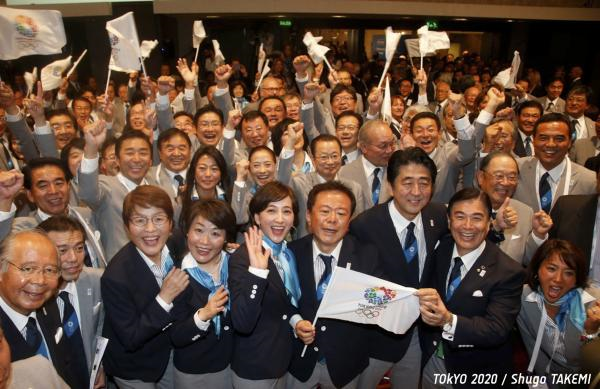 Personally, I have a “bond” with the last Tokyo Olympic and Paralympic Games back in 1964 which was the first Games in Japan. I was born on the closing day of the events and now I live near Komazawa Olympic Park which was one of the venues of the events 49 years ago. In addition, at the presentation time for the candidates, Prime Minister Shinzo Abe, Tokyo Governer Naoki Inose, Christel Takigawa, a popular newscaster, and HRH Princess Takamado, all of whom made passionate and persuasive addresses in either English or French respectively. HRH Princess Takamado’s late husband HRH Prince Takamado made dedications in nature conservation activities where he helped my father. With those strong supports, expectations, and recognitions of the safety and reliability of Tokyo or Japan by the international community, it is highly expected that foreign visitors to Japan and Tokyo will surely increase even more from now on. More than 70 musicians or groups are performing on the stage all of whom are popular. Zipper magazine which offers distinctive looks for teenage will held a special event “Zipper 20th LAFORET PARTY” will be held at Laforet HARAJUKU on Mar 30. 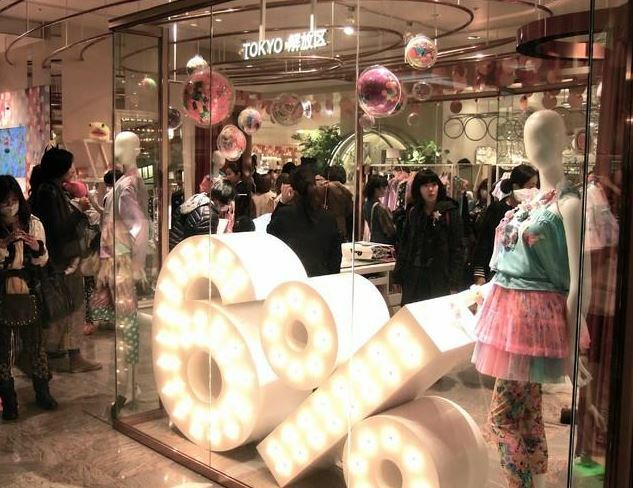 A Fashion show, live show and talk event will be held featuring model and singer Kyary Pamyu Pamyu, duo singers PUFFY, actress Riisa Naka, performer IMALU, photographer Mika Ninagawa, Akiba idols, dempagumi.inc and others. 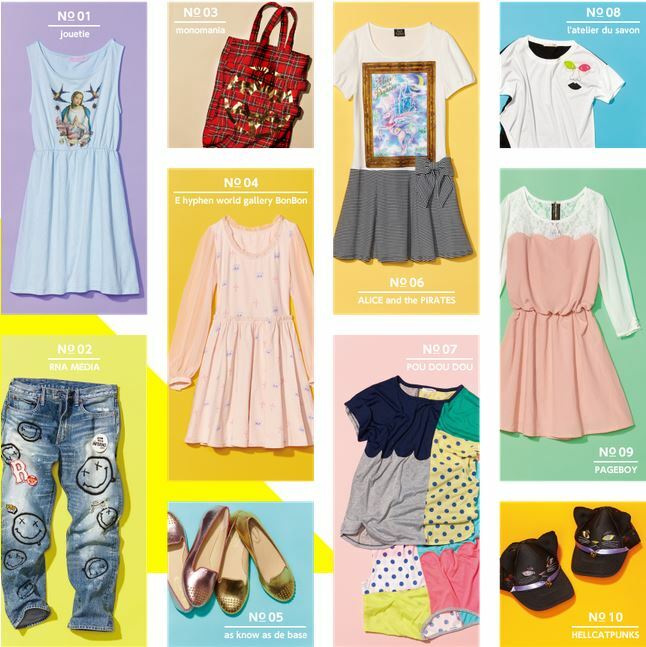 Prior to the event, Zipper memorial items are in store.Limited items from 40 stores including gathered dress with cat and cross print (priced at 5,995 yen) by E hyphen world gallery, smile print denim (priced at 17,640 yen) by RNA MEDIA, color block T-shirt (priced at 3,990 yen) by POU DOU DOU will be on sale from Mar 23. 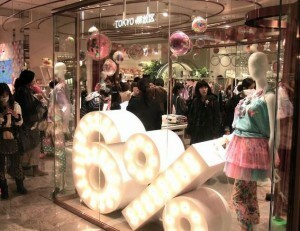 6%DOKIDOKI is temporarily open within “TOKYO Kaihouku” on the 2nd floor of the main building of Isetan Shinjuku. On the 30th, Masuda attended the event with his shop staff. Fans of the brand lined up to take photos with Masuda and his staff as well as receive autographs. 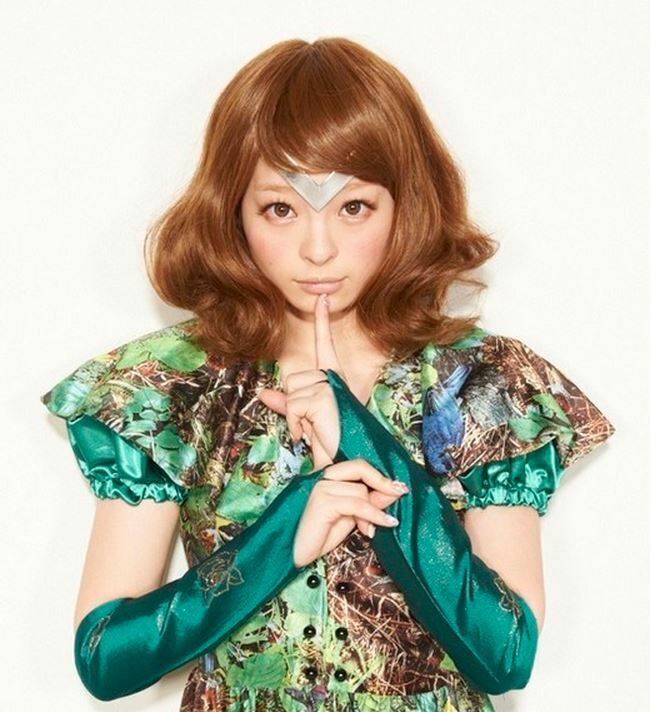 The producer of the brand Sebastian Masuda met Kyary Pamyu Pamyu as she was a customer of the brand and he now handles the art direction of the star’s concerts and music videos. 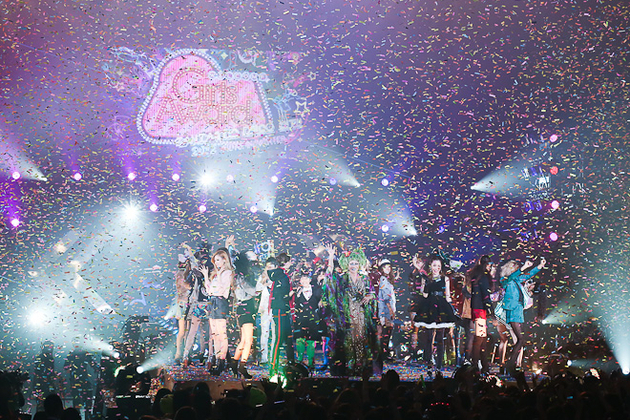 The participants of the event included elementary school students who came to know the brand through the influence of Kyary and adults who have been fans since their teens. Namie Amuro, a popular female singer showed up as a “secret guest performer” and sang in the opening event. She took part in this huge fashion event for the first time. 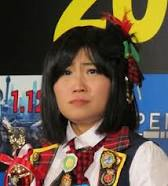 And, one of the prominent parts of the show was that Kintaro, a celebrity impersonator who has suddenly become surprisingly popular due to her impersonating performances of Atsuko Maeda, an ex-AKB48 top member, showed such a performance of “Atsuko Maeda’s part”, which earned a boisterous applause from the audience. 82 top female models, such as Karina, Kiko Mizuhara, Anna Tsuchiya,Yu Yamada, and others showed up and emthralled the audience of about 30,000 with their beauty, fancy fashion,and performances. “Girls Award 2013 SPRING/SUMMER” is planned to be hosted on this March 23th at the First Gymnasium of National Stadium in Yoyogi Tokyo, which I referred to in my previous post here. (http://girls-award.com/pc/index.php) On Jan.30th, some of the names of singers, musicians, and models who are to perform in the event were disclosed. 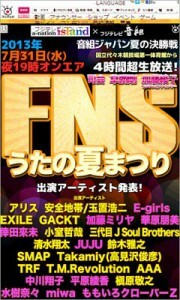 As singers, FTISLAND and Tomomi Kahara who recently made her re-debut and others are going to perform at the show. This Girls Award is the seventh of the same annual events of girls’ fashions and on the same day or near dates, some other similar girls’ fashion events will be held as well, such as “Tokyo Girls Collection”, “Mercedes-Benz Fashion Week TOKYO 2013-14A/W”,and “VERSUS TOKYO”. new goal on the new year’s day. 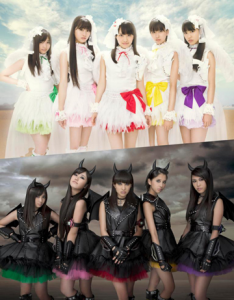 The group’s first goal was to join and perform at Kohaku Utagassen, the Red and White singing contest on the new year’s eve , which MomokuroZ realized on Dec.31 2012. And now, the group has a new purpose that it will host live concerts at National Stadium (http://naash.go.jp/corp/english/activities/tabid/391/Default.aspx) in Yoyogi that is so closely located to NHK, the TV station where Kohaku is held. 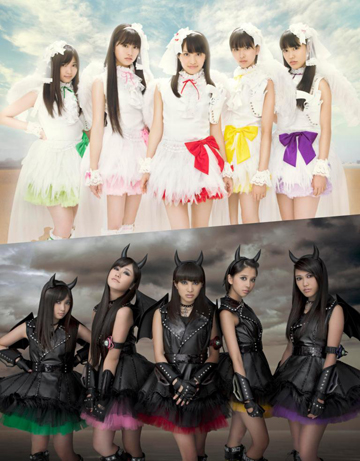 That is how Momokuro has set out the “second chapter” of its activities of “dreams beyond Kohaku”. However, the stadium is currently under a renovation which is scheduled to complete in 2018, so the day to fulfill the group’s next dream has not been clearly set or predicted yet. 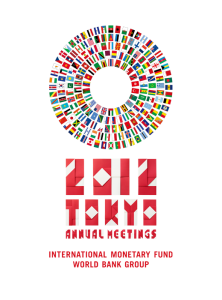 Japan hosted such meetings 48 years ago which was the very same year that Japan hosted Tokyo Olympics, which was a remarkable symbolic event of Japan’s successful recovery form the economic recession due to the post war aftermaths of WW2. 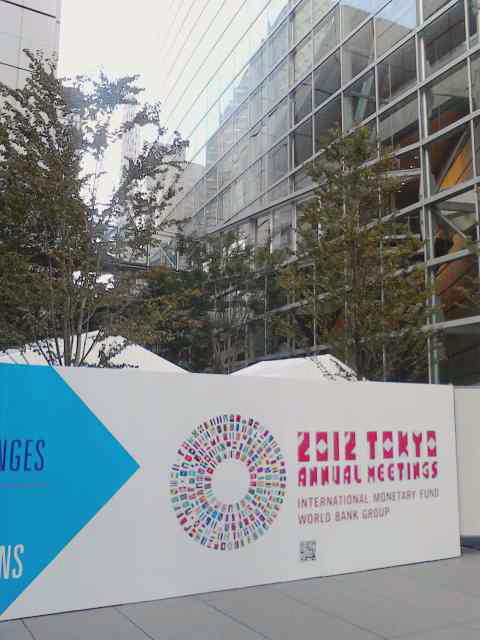 Now, the Japan’s economic, political, and social positions and international community’s situations have drastically changed as well. This time the second time’s phases have shown the historic exaltation of the country. 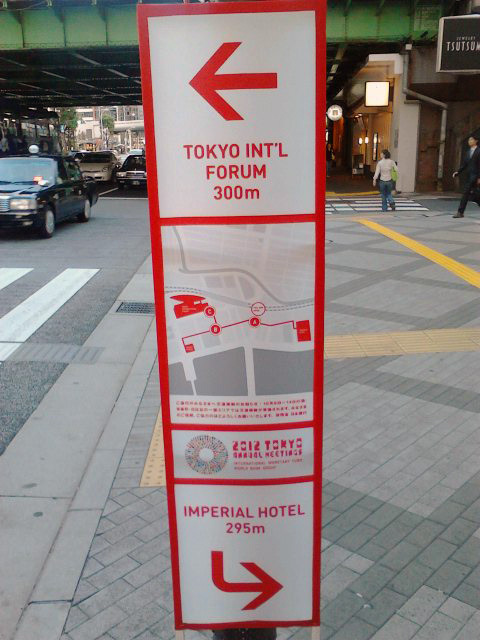 There were four venues of the event, namely, TIF(Tokyo International Forum),IM(Imperial Hotel),Hotel Okura, and TCCI (Tokyo Chamber of Commerce and Industry), all of which are located in the very center of this capital of Japan . Totally official participants were from 187 countries and registered visitors and participants , their dependents amounted to about 20,000. Top economic leaders of the world got together and Tokyo soaked in the heat and excitement of the great festivity. On the 12th, the plenary and official banquet hosted by Noda, the prime minister of Japan were held. 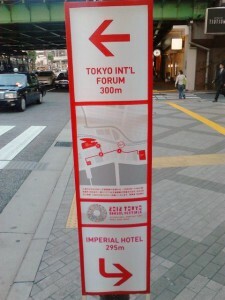 There were about 20 official hotels designated as official accommodation for the participants and dependents and special hospitality programs were prepared which provided them with various short trips such as on-day visit to Yokohama, visiting Tsukiji Fish Market, Tokyo Sky Tree just built in this year, shopping at depachika (basement floors in department stores ),cultural experience tour such as a tea ceremony, learning how to wear kimono, and so forth. A lot of participants and other registered visitors enjoyed those short tours or traditional Japanese cultural experiencing events. 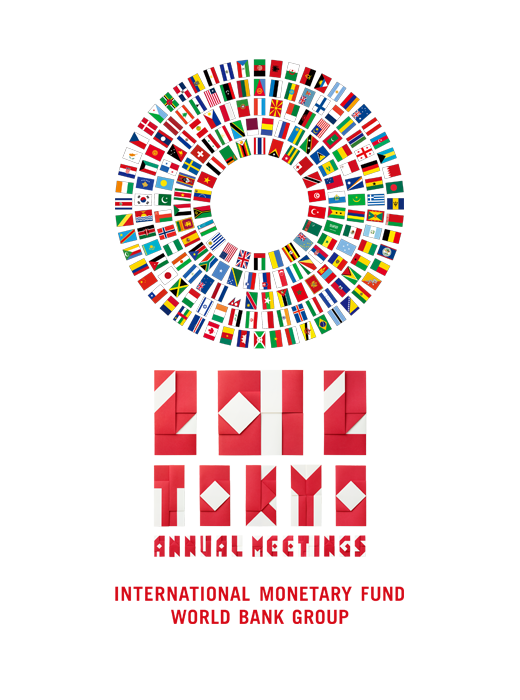 The local host of the Annual Meetings were MOF (Minister of Finance) and Bank of Japan, Tokyo Metropolitan Government ,and so many people including volunteer staffers, pro tour guides, escorts and others attended the visitors from all over the world. 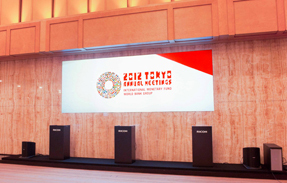 The hosts, the government, and others say more than 10 billion yen revenue can be expected from this greatly worldwide financial series of events. We hope this has influenced betterment of Japanese economy, tourism, and society as a whole. Actress Jessica Alba and singer GACKT attended an opening event for “Tommy Hilfiger Omotesando” at ‘Tokyu Plaza Omotesando Harajuku‘ on April 16th. Did GACKT feel nervous next to Jessica Alba? The name of the new real store is “EVANGELION STORE TOKYO-01 ” , jointly operated by GroundWorks (http://gworks.biz/) and MOVIC (http://www.movic.jp/index.html), both of which operate the online store chain as well. 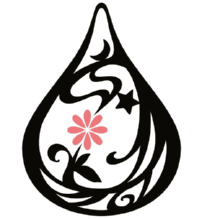 The location of the new store (1-8-23, Jingumae, Shibuya-ku,Tokyo) is in the quite popular and well-known area of cosplay and subcultural fashions as well as a traditional Japanese culture where Meiji Shrine, one of the most popular Shinto shrines is located. 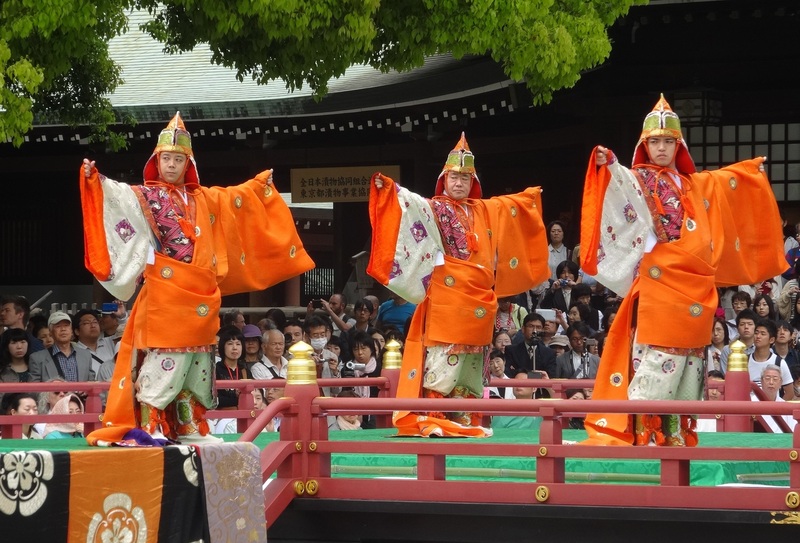 The area is popular the young and old or even foreign tourists with interesting harmonized atmosphere of old and new aspects of Japanese culture. This first real Evangelion Store is to be two-storied, whose first floor is featured with apparel an fashion sorts, and second floor is of various kinds of Eva’s items expected to meet requirements of both ordinary fans and great lovers of the anime work series. The first floor also includes an event hall where various events of Eva series are to be hosted, such as some special events to promote the new anime movie “Evangelion new theatrical version:Q” which is planned to released in autumn 2012. The management say they intend to enhance more firsthand communications with fans and expect the fans to view and touch the items to feel the attractions more intensively. The store plans to host special presale events of related items occasionally. A well in a garden of Tokyo’s Meiji Shrine has drawn masses of visitors who believe it is a power spot where they can experience positive energy. Meiji Shirine is the largest Shinto shrine in Tokyo, dedicated to Emperor Meiji and his consort, Emperess Shoken, who passed away in 1912 & 1914 respectively. It was constructed just after the first world war. The Kiyomasa’s well ( Kiyomasa no Ido) is said to have been dug by famous feudal warlord Kato Kiyomasa, whose family, according to the shrine, had a mansion in the area during the Edo period, although it is unknown if Kiyomasa lived there. The site became famous after some television programs featured it with people claiming that their luck improved when they used pictures of the well as background screens on their cellphones. 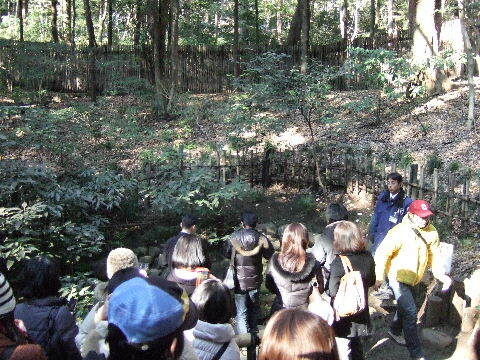 Visitors must pay 500 yen to enter the garden and will need to obtain a numbered ticket to view the well.